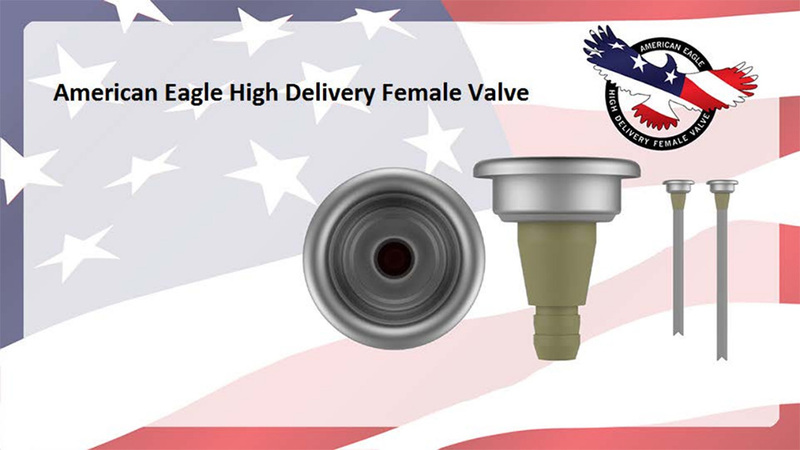 American Eagle "High Delivery Female Valve" - Avanti USA Ltd. Constructed using an Aluminum mounting cup and 3 different gasket materials to handle a variety of formulas. Sold with the Avanti USA Ltd. “Kodiak-10” Bear Spray unit and the “Ballistic-14” Pistol Grip unit.